Remember the first tip about Re:amaze? It was designed to be a collaborative platform so staff members can help customers as a collective rather than a one-man(woman) show. To work as a collective on a modern platform like Re:amaze requires the understanding of how some things work. There are 6 core Re:amaze features to help you work better with teammates. 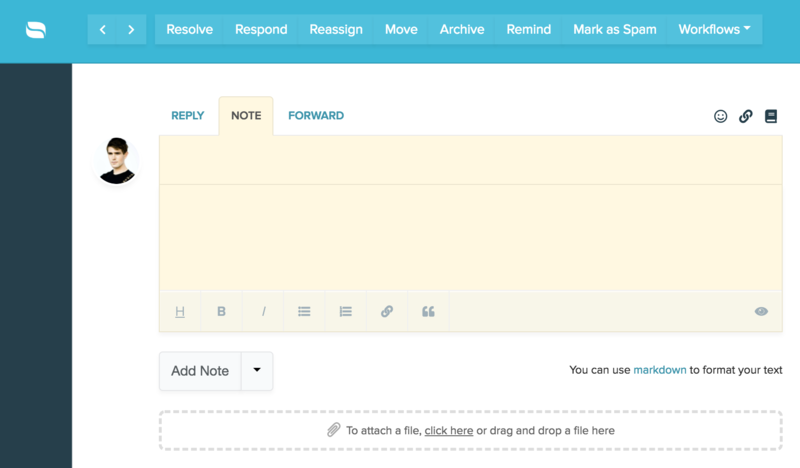 Notes, also known as internal notes, are inline messages you can leave for other staff member. When a note is left for a specific member, he or she will receive an email notification and also a browser notification if it's enabled. 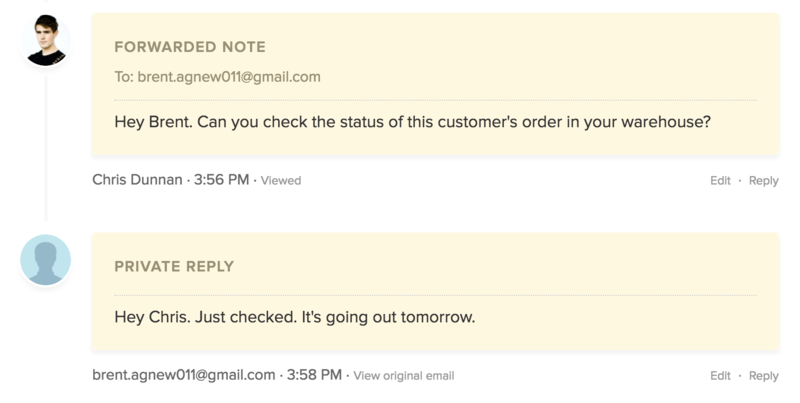 Internal notes are not visible to customers so it's a perfect solution if you need help from a teammate or if you simply want to let them know that they can join in on a conversation. Notes, can also be left without addressing it to any specific staff member. These notes are visible to everyone but will not trigger any outgoing notifications. Our recommendation is to utilize notes as much as possible if you need help, if you need to alert someone, or simply to combine it with the Remind feature. For example, if you leave yourself a reminder to follow up with a customer, a generic internal note will help you remember what you need to follow up with. Not all teammates will have a Re:amaze account, however. So how do teammates in non customer service roles provide you help or collaborate with you? In these situations, you can always forward an on-going conversation to that staff member's email address. 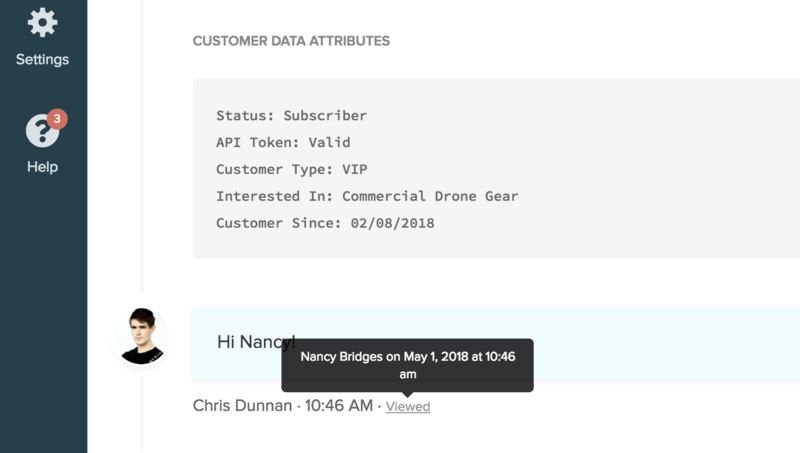 Recipients of forwarded conversations will first get your message to them and a conversation summary of what has been said between you and the customer. Recipients of forwarded messages can also reply directly within the original conversation without fearing that your customer might see it. These are known as private replies. See this article about forwarding. If you don't want to bother with forwarding conversations, you can also email a permalink directly to your teammate. 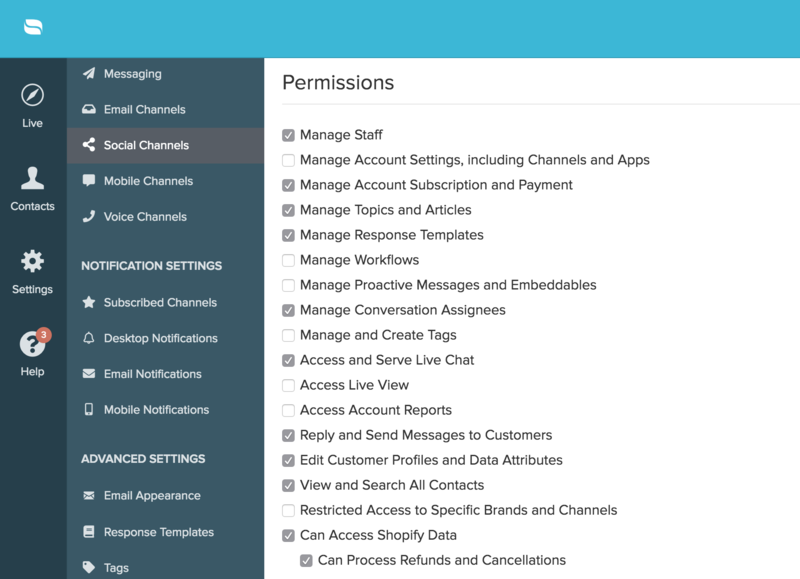 A permalink is an publicly accessible URL to the conversation you're having with a customer. Permalinks are not indexed by Google however for security purposes. Re:amaze Presence is a series of features to help you work better as a team. 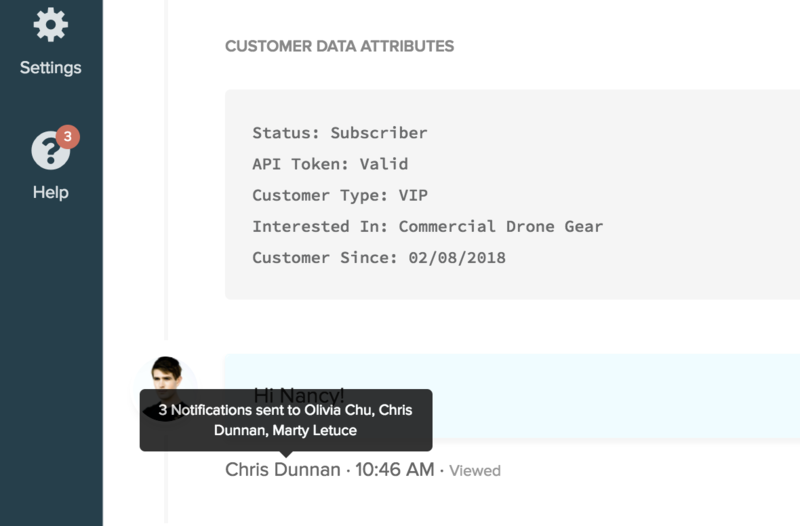 It's composed of: real time event logs, agent presence (to see what other agents are doing), and typing presence (the ability to see what customers are typing in live chat before they hit send). Presence also helps bring visibility into each other's workflows and allows you to visualize where teammates are and what they're doing. It can help facilitate better coordination and also prevent paths from getting crossed. 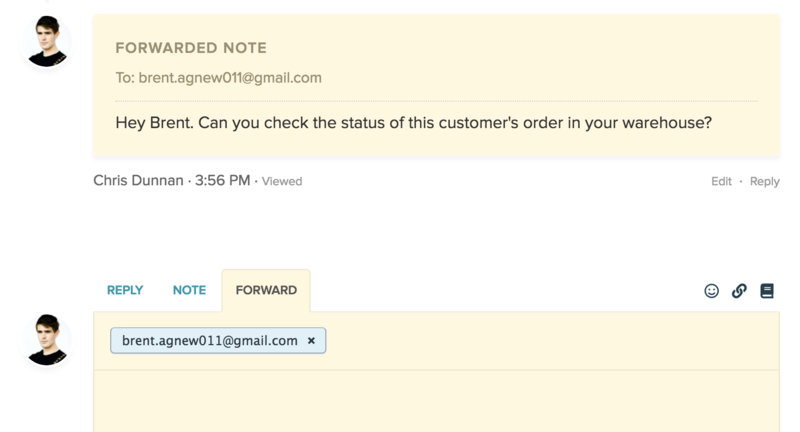 For example, you can also visualize when other teammates or customers have viewed your replies. 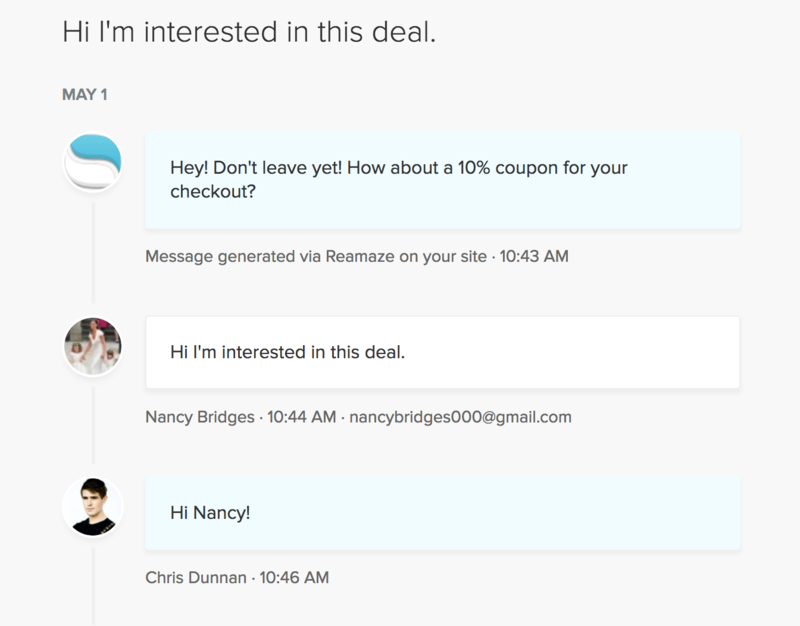 Re:amaze will also tell you how many email notifications have been sent to staff members and customers. 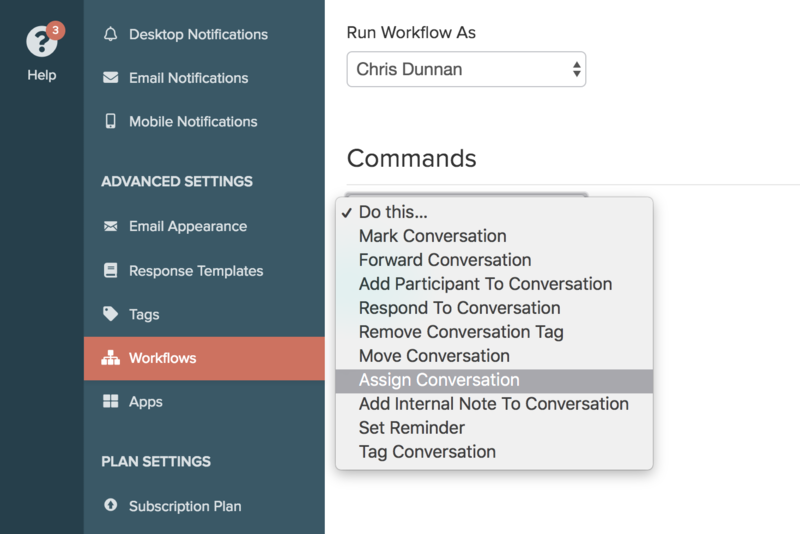 Real time event logs is a running log of actions (or events) performed on a conversation. This helps team members stay on top of who's doing what as well as who did what. These breadcrumbs also bring a sense of responsibility and accountability to each action taken on a customer conversation. Roles and permissions allow you to differentiate different staff member responsibilities with ease. Giving access and removing access to specific Re:amaze features essentially allows you to structure your team and its member's responsibilities without complicating each member's dashboard. 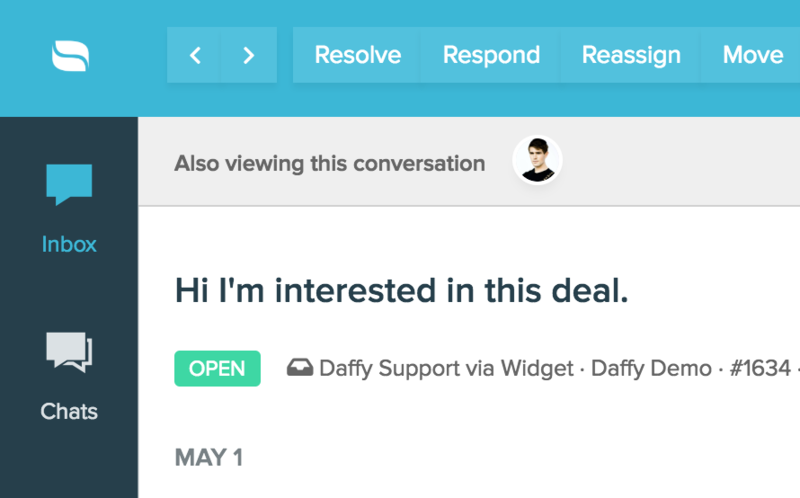 Re:amaze comes with collision detection features to help prevent staff members from accidentally replying to the same customer with the same message. Collision detection kicks in if two staff members reply to the same customer message within 5 minutes of each other. The second staff member's reply will be placed on hold not not delivered to the customer. The staff member may choose to publish the reply anyways if they feel it isn't a collision but a mere follow up. Collision detection will also send email notifications to the second staff member.